Balwin Beauty! 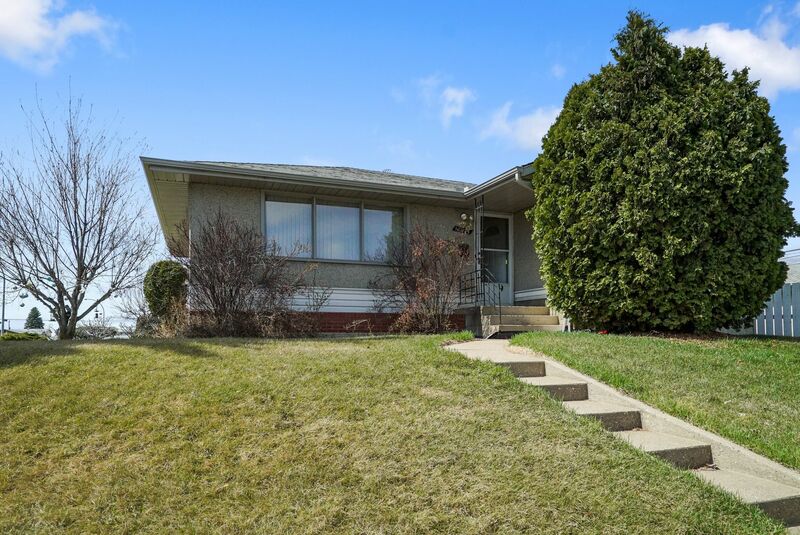 This Solid 3 Bedroom & 2 Bathroom Home Comes with Nice Upgrades! New Forced Air Furnace; Hot Water Tank & 100 AMP Electrical Service in the Past 5 Years. Your main floor features: a nice entranceway; living room; dining room with built-in cabinets; three bedrooms; a nice kitchen & 4-piece bathroom. Your open space basement has two family rooms; a 3-piece bathroom; excellent storage; and a utility space & laundry room. This 53' x 120' corner lot is situated right across from your own park & has a single detached garage. Well-located within Balwin close to all Amenities; Schools; Community Leagues; the Yellowhead Freeway; Northgate & North Town Centres; & All Other Shopping. Excellent Value.. Don't Miss Out!